Fun, hands-on, creative holiday activity! Teaches essential creative writing concepts! Teaches history, geography, the reason behind the holiday! Another in our series of History /Creative Writing electives. 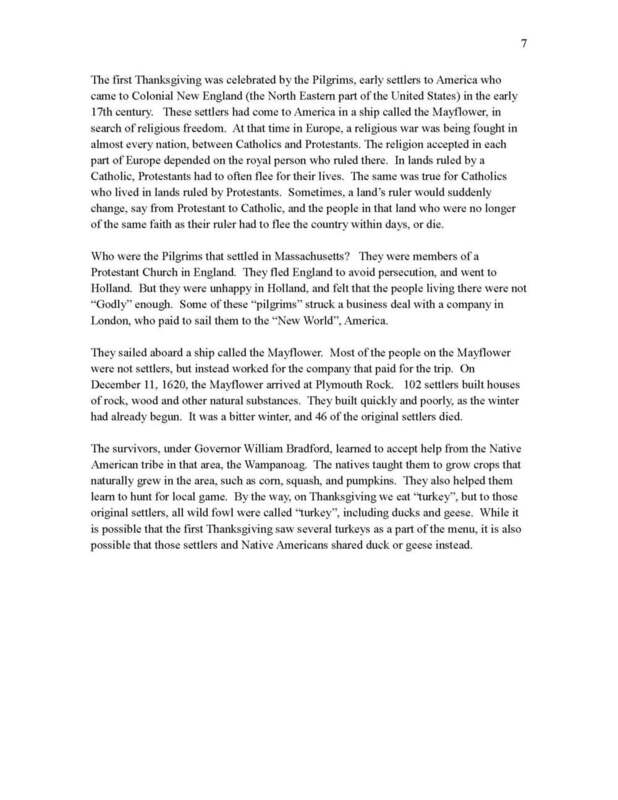 Thanksgiving is celebrated each year in both the United States and Canada. The first lesson in this course offers a history of this beloved holiday, along with creative exercises to make Thanksgiving more "real" and interesting for the student. What do George Washington and Abraham Lincoln have to do with Thanksgiving? Find out in their own words! This is followed by fourteen complete lesson plans in which the student is guided step-by-step through the authoring of two original Thanksgiving stories. The student is introduced to many of the elements of good story-telling, and then creates his own Thanksgiving tales. A truly creative and fun way to develop the writer in a student, while celebrating a favorite holiday!